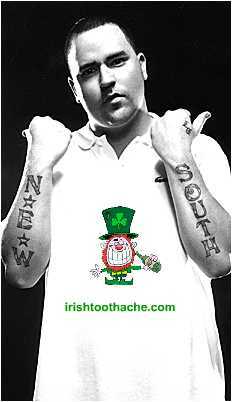 Irishtoothache is Letting Bubba Sparxxx and Houstin close for us. HOW ABOUT AN APPETIZER BEFORE BUBBA? 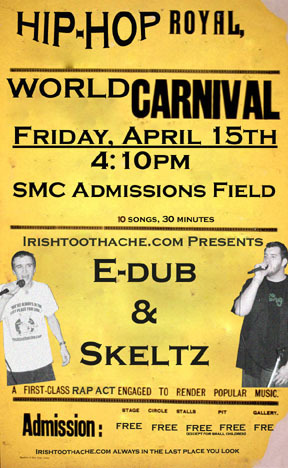 Hello shladies and yentlemen- E-dub and Skeltz will be performing (rapping) at St. Mary's 12th annual World Carnival. Friday, April 15th @ 4:15pm on the Admissions Field. You should come and hear the hits, new and old. Also check out the new song by E-dub and Skeltz entitled Say What you Mean, it is in the new songs section. Thank you everyone, and we will see you at Wheeling University on Saturday, April 23rd.